‘ISO does not guarantee quality but assures that the company has a mechanism to rework on any quality issues encountered and provide corrections’ thus opined Prof. Anantha Prasad, ISO Consultant, Mysore. He was addressing the PGDM students on the topic “ISO 9001 – 2008: Quality Management Systems – Requirements” on July 29, 2013 at the Institute auditorium. The talk was focused on ISO needs – Attitude, Belief and Commitment (ABC) and the different stages in development of ISO since 1987. 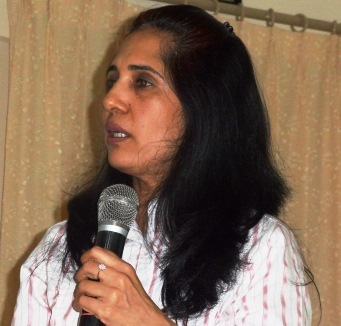 Ms. Sujata Rajpal, Head - Corporate Communications at SPI, was at SDMIMD on July 19, 2013 to address the students of the first year. She spoke of effective communication skills as an attribute to success. She also informed students about Toastmasters International at SPI, their activities and how it is helping their employees.